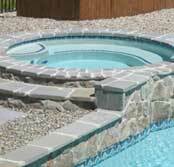 Start spending those cold afternoons planning your backyard swimming pool design. Well here we are with temperatures dropping and sadly, this means it’s time to close the in-ground pool and spa for the winter. We know it makes you sad, but turn your focus to keeping your pool and the water healthy over the coming months so that you’re ready for the next season. Winter pool care is just as important as summer pool maintenance. Part of winterizing your backyard swimming pool is caring for the water that stays in the pool. You just got back from visiting your friends in California and the most relaxing time with them was spent in their own back yard swimming pool and spa. Now you’re home in New Jersey, staring out the window and wondering why you haven’t gotten around to purchasing an in-ground pool for your family. Since 1967 homeowners in Southern and Central New Jersey have called on Swim-Mor Pools and Spas as the premier custom in-ground swimming pool and hot tub supplier. With Labor Day upon us and the feeling that summer will soon be over, all the local pools and swim clubs will be closing so even if we do get a heat wave and it stays warm into October, you can’t go swimming to relax and cool off. Is it time to think about getting a swimming pool in your own back yard? Swim-Mor Pools and Spas in Central and Southern New Jersey is ready to talk with you about making the added value investment in your lifestyle and in your property with an in-ground pool and spa. This early spring will slowly turn to summer and you can be ready to enjoy this fun season with a new in-ground swimming pool and spa from Swim-Mor Pools and Spas. Imagine your backyard turned into a tranquil oasis with the luxurious addition of a new in-ground swimming pool and spa tub. Swim-Mor has the experience and expertise you can rely on to create a backyard paradise your family will use and love for years to come. Everyone loves swimming in pools. Whether you’re a toddler or a senior citizen, swimming can be just as relaxing as it is fun. If you’re planning on buying your own pool, however, you should spend a little time thinking about what it takes to own and operate a high-quality pool. Who is going to consistently use the pool? Just because the winter is here doesn’t meant that you should just be lazy and wait for the nicer weather to rear its head in a few months. If you are living on your own in an apartment, okay, enjoy yourself and stay warm this winter. But if you’re part of a family, you should really step it up this year. Make 2018 the year you finally convince your kids that you truly are a super hero. Get In Gym-Ready Shape: Which Cardio Exercises Burn the Most Calories? If you’re like most Americans, you’re getting ready to announce to your friends and family that your New Year’s resolution is to go to the gym. And if you’re really like most Americans, you’ll stop going to the gym after a week or two. The reason so many people struggle with their physical goals year after year is because they try to go right into difficult workouts before they are even in gym-ready shape.